No one wants to be contacted by a debt collector, but when do you have the right to stop a collector from contacting you? When the collector violates the Fair Debt Collection Practices Act (FDCPA), you can take legal action to stop the calls and you may also be able to sue for damages. We explain what debt collection harassment is under the law. 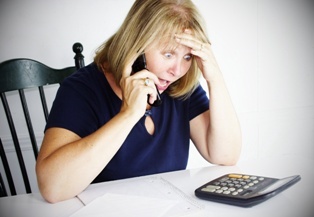 A debt collector may contact you by phone, email, letter, or text message to inform you of a debt and to attempt to collect payment from you as long as he identifies himself as a debt collector and informs you of your right to dispute the debt. He must also tell you the amount of the debt and the name of the original creditor. If you believe a debt collector is harassing you, you can put a stop to it. We recommend that you keep a record of every phone call and what was said, as well as any letters or documents that are sent to you. You also have the right to sue the debt collector for damages. The experienced consumer protection attorneys of the Cardoza Law Corporation are here to help. Contact us online or call the office directly at 855.982.2400 to schedule your free case evaluation. We will stop the harassment and tell you if you have cause to sue the harasser.